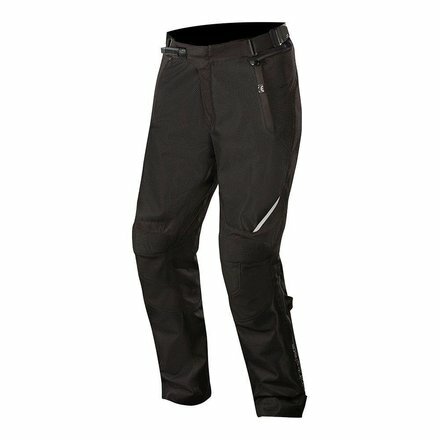 Ventilated overpants; up to 5XL. The versatile, CE-certified Wake Air Overbroek has everything you need in a roadside trousers designed to fit over your regular pants, with mesh panels for breathability, knee protection, stretch panels and many adjustment options for comfort the road. Multi-shell construction with mesh panels on thighs, lower legs and lower back for improved cooling. • Accordion zones above the knee offer improved flexibility. • Knee protector can be set to multiple positions. • Pre-bent leg construction helps prevent fatigue and promotes fit. • Replaceable foam hip pad inserts for comfort and extra impact performance (level 1 CE-certified hip protector available as accessory upgrade). 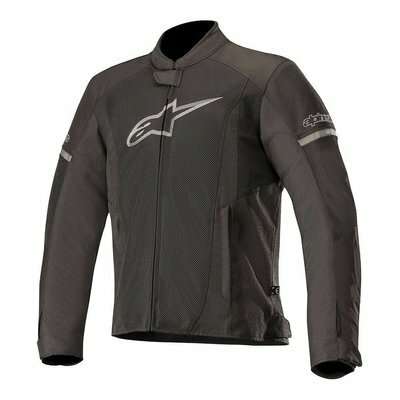 • Level 1 CE-certified Alpinestars Bio Armor protectors. • Micrometric hip buckle adjuster. • A long zipper lining that runs from the knees to the lower legs makes it easy to put on the pants while wearing boots.